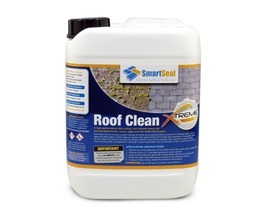 Smartseal developed Moss Clear as an excellent moss killer and moss remover that can help to keep a driveway, patio or roof free from moss growth. 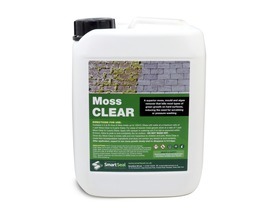 Moss Clear is a biocide that will quickly remove moss, algae, fungi and other types of organic growth. 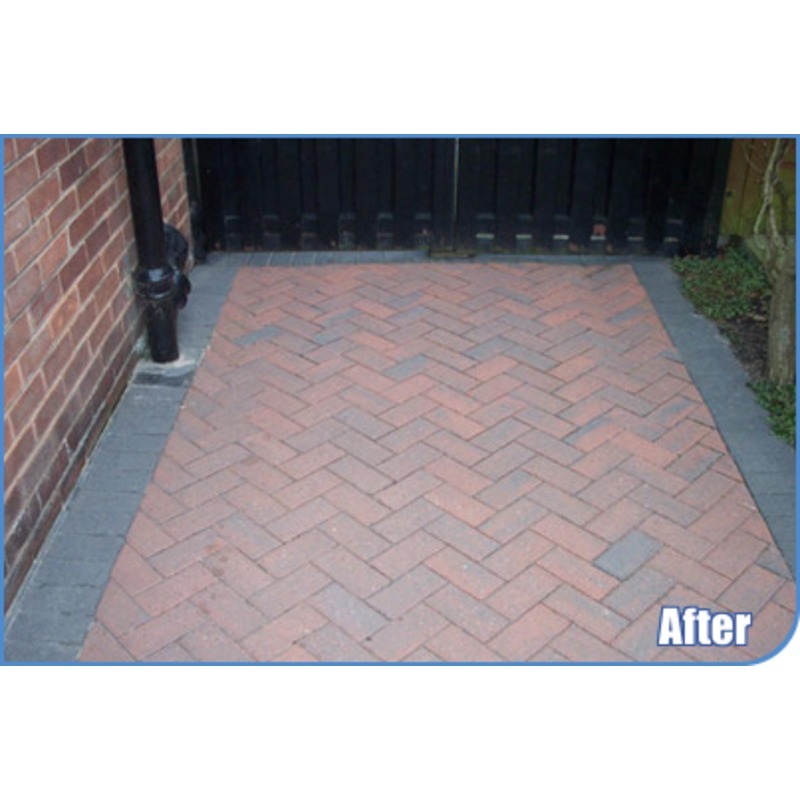 As a moss remover Moss Clear is suitable for block paving, concrete, tarmac, decking, roof tiles and many other external hard surfaces. 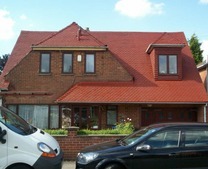 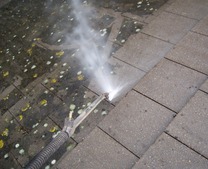 Moss Clear is a new roof cleaning and paving cleaning concentrate. 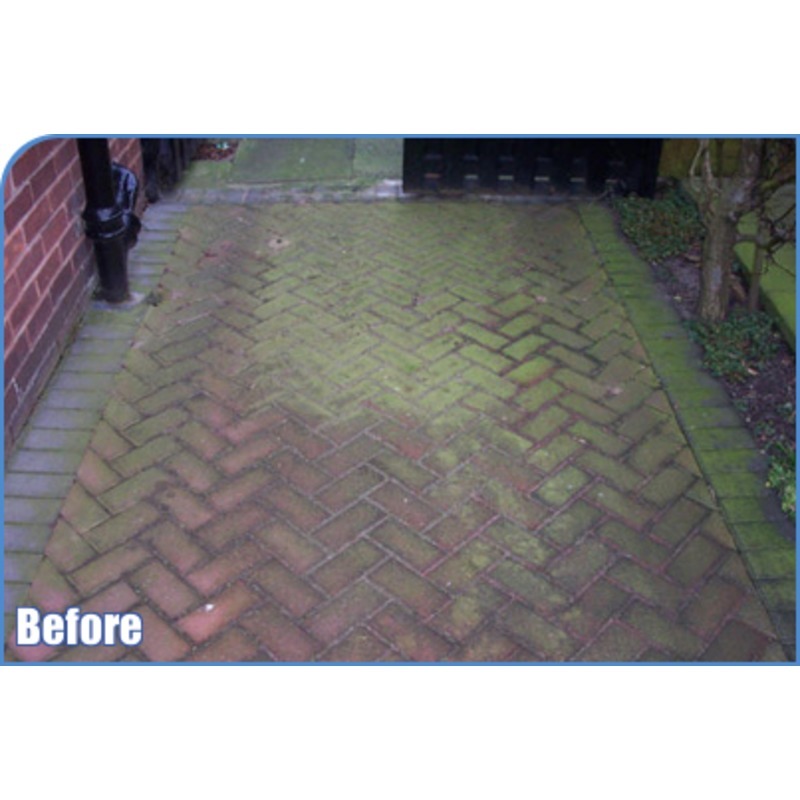 It is formulated as a moss, mould and algae treatment that safely removes all types of moss growth from paving. 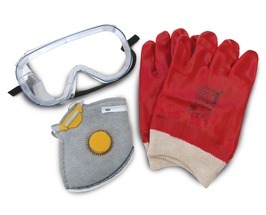 There is no need for washing off at high pressure or scrubbing. 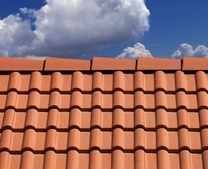 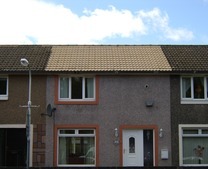 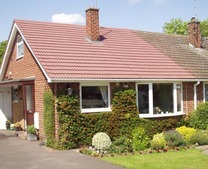 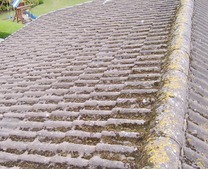 By reducing the pressure whilst cleaning the risk of damage to roof tiles is minimised and cleaning time reduced. 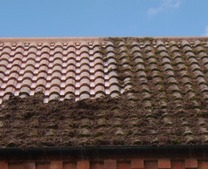 The moss killer branded as Moss Clear is also a moss inhibitor. 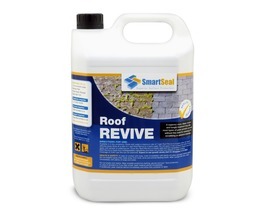 It can be applied after the roof has been cleaned to eliminate the risk of moss and algae spores re-forming. 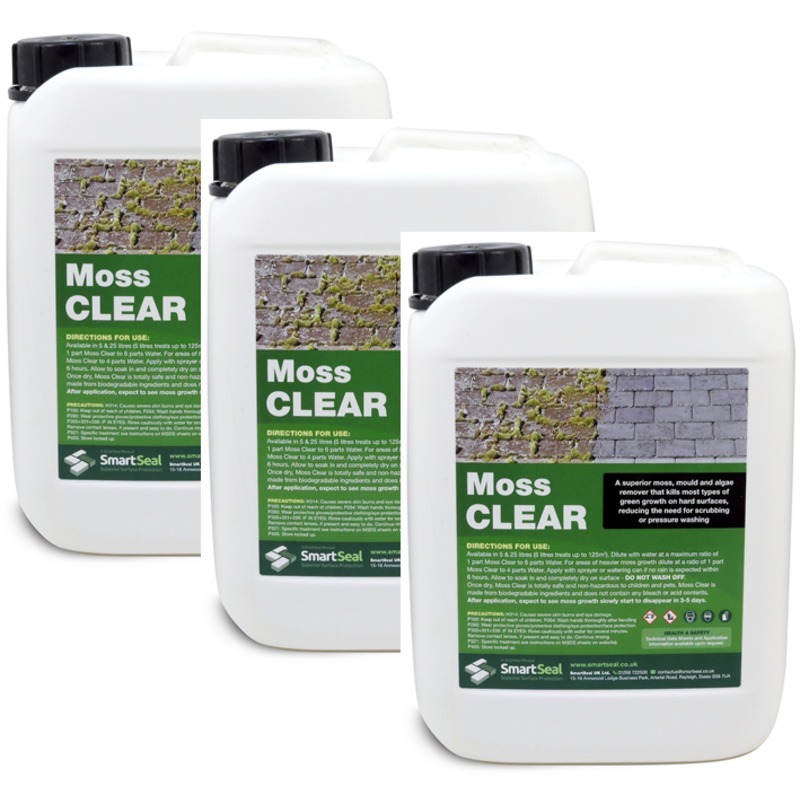 We also recommened Moss Clear as a moss killer for use on paving, tarmac and other concrete surfaces. 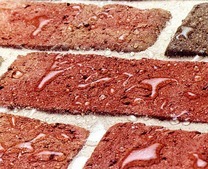 For best results dilute at a ratio of one part moss clear to five parts water. 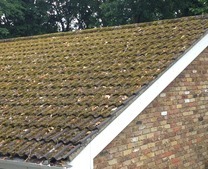 Coverage of approx 100m² to 125m² can be expected from 5 litres of moss clear. 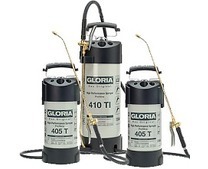 Application by sprayer or watering can is recommended. 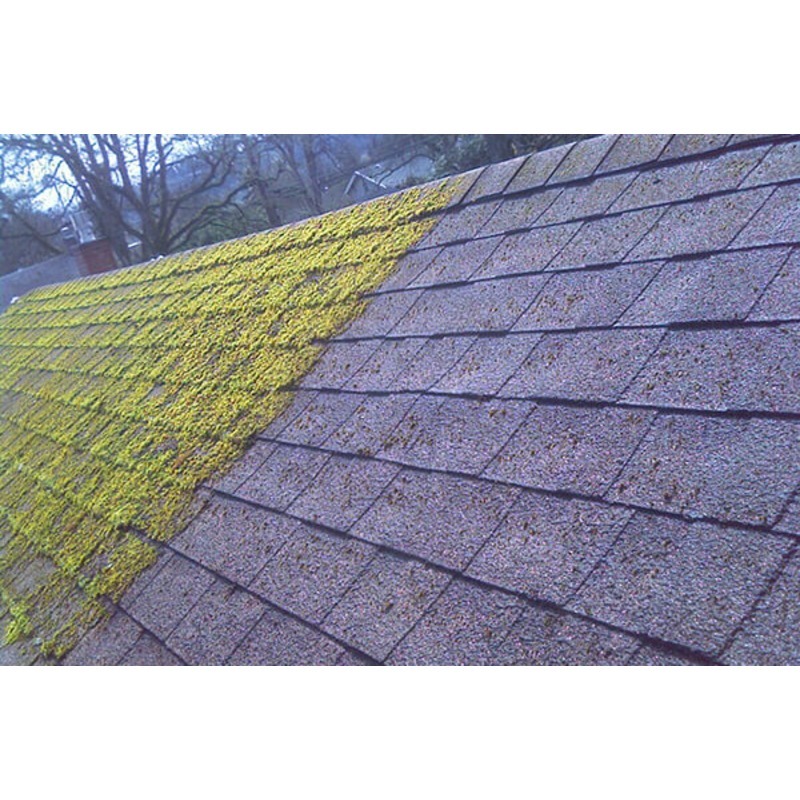 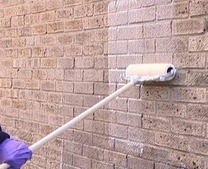 Moss clear, once dry, is a safe and non-hazardous product. 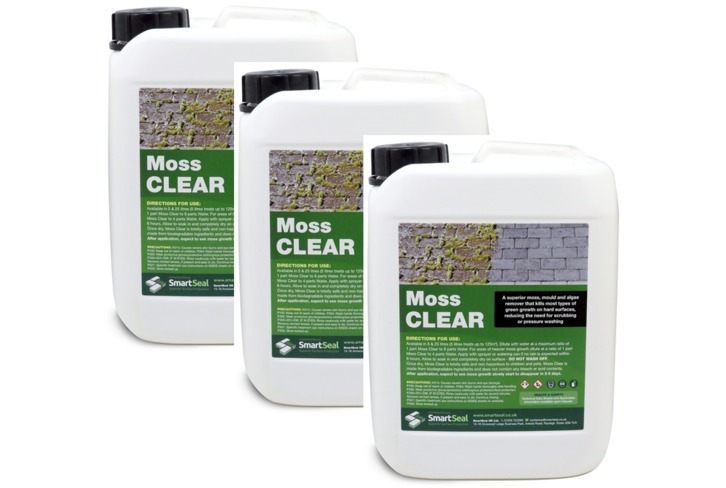 Moss Clear is made from biodegradable ingredients and does not include any bleach or acid contents.